Last week, we took the kids for a fun family day out at National Forest Adventure Farm to check out their summer pirate-themed activities. 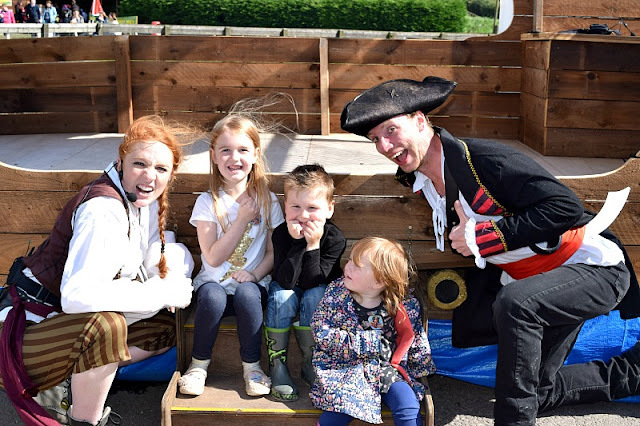 Each year the Maize Maze takes on a different theme and this year pirates have taken over. There are two mazes, the 'Maize Maze' and 'Mini Maze'. The Maize Maze is the larger of the two and is 10 acres in size. The maze design includes a huge 115 long Pirate Galleon and a 50m wide compass. ''Follow the clues around the 3 miles of pathways, bridges and viewing towers to discover Del Gardo’s treasure''. The Maize Maze hosts 'cannonball chaos' each day which sounds really fun (but we happened to miss this as there was so much to see!). The Mini Maze is for smaller children and is the one we chose to explore as we thought the larger one would be too much for little Elsie. 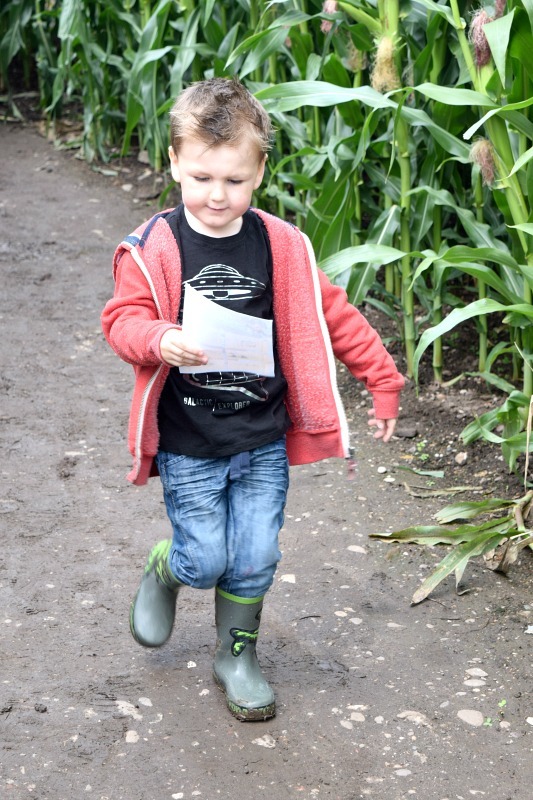 The children were all given a piece of paper each and they had to collect stamps at different points throughout the maze to help Pirate Penny. We had no idea where each stamp would be so we had to guess our way around the maze. The kids loved this activity and were so pleased to collect all the stamps and find their way out of the maze. For completing the activity, they were each rewarded with a sticker and a lollipop when they handed in their completed sheets. 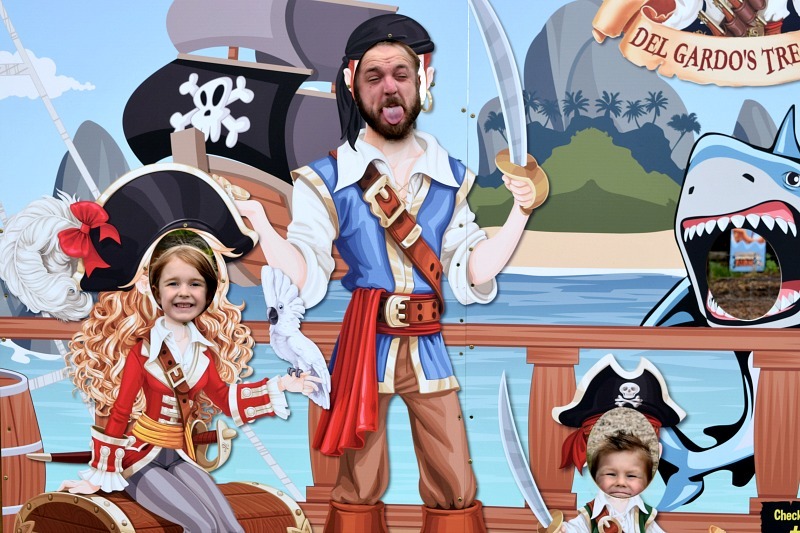 As well as the pirate themed mazes, There are pirate shows and a Buccaneer Bootcamp. Gracie took part in the Buccaneer Bootcamp where she learnt the pirating skills needed to join Captain Del Gardo's crew. She loved taking part and doing all the silly moves and actions (unlike Zach who got embarrassed and stopped pretty quick). There were quite a few children taking part and you could see they all loved it. Zach was jealous afterwards that Gracie was now a fully trained pirate! 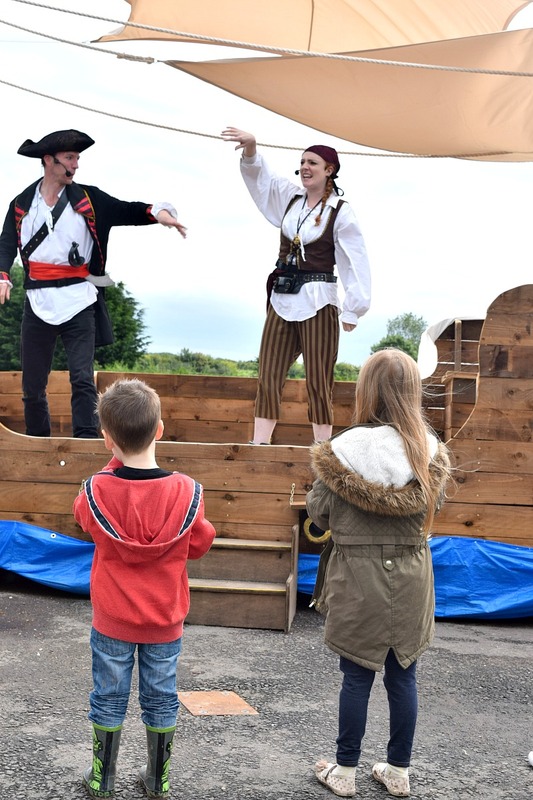 We also happened to catch one of the pirate shows 'From Bilge to Bow the Captain's Story' The pirates put on a show for the kids to watch with the occasional interactive part where they could get involved to keep their attention. Some of the adults were forced to take part in a silly dance too which all of the kids found hilarious! 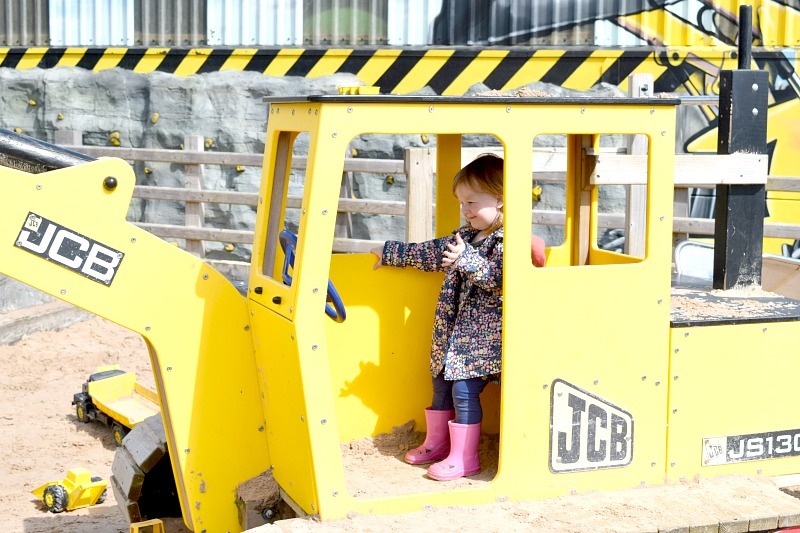 All three kids loved the JCB themed sand area which is where we stopped when waiting for the pirate show to start. They could probably have played in there all day as there were lots of little toys to use in the sand and keep them entertained. One of Gracie's favourite parts of the day was the sheep racing. 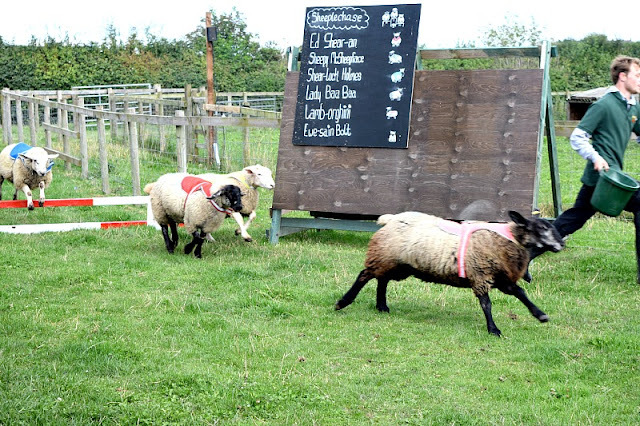 Each sheep has a silly racing name and you can put a £1 bet on your favourite to win. You get a little chip with a picture of a sheep on and if your chosen sheep wins, you can collect a medal. If not you still get to keep your chip as a memoir of the day. Gracie placed a bet on Ed Shear-an and was so excited until he lost and she cried like a bad loser! She soon cheered up when she realised she could keep her chip and didn't have to leave empty handed. 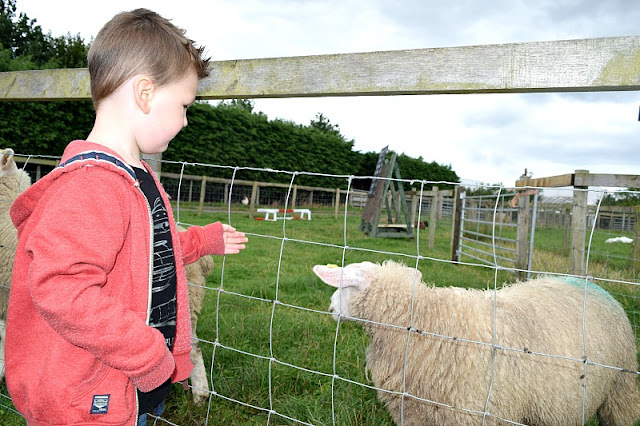 There were lots of animals to pet outside at the farm including Alpacas, sheep, goats, donkeys and ponies. My kids are a bit nervous of animals but Zach was really brave and stroked all of the animals and really enjoyed the experience. 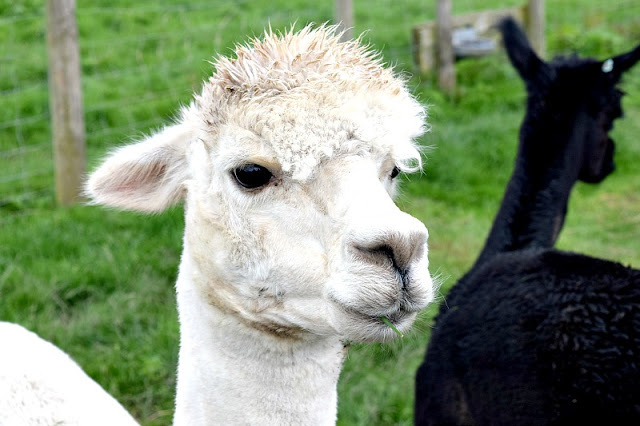 We were so surprised at how super soft and friendly the alpacas were. There is also an indoor area containing pigs, guinea pigs, rabbits etc. We had a really fun day at National Forest Adventure Farm and there was so much to do that we didn't manage to get around and do everything! 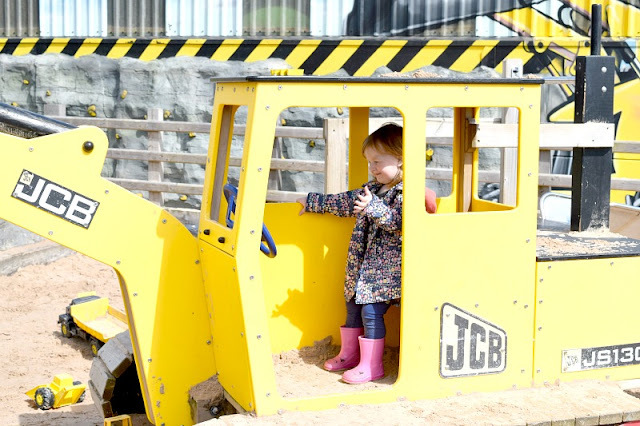 We didn't have time for the indoor soft play, go karts, crazy golf, jurassic canyon, pirate play equipment or the tractor/trailer ride. As you can tell you could easily spend a whole day there as there are so many things to do. I did think that perhaps the adult prices are a bit high considering that the majority of the experience is aimed at children but the price for a child's admission is worth every penny. It could just become quite pricey for a family when you factor in food/drinks costs too.